Railpictures.ca - Matthew Tozier Photo: CN 435 rolls around the curve at Ingersoll on the Dundas Sub with GE C40-8M #2430 leading towards London. | Railpictures.ca – Canadian Railway Photography – photographie ferroviaire Canadienne. 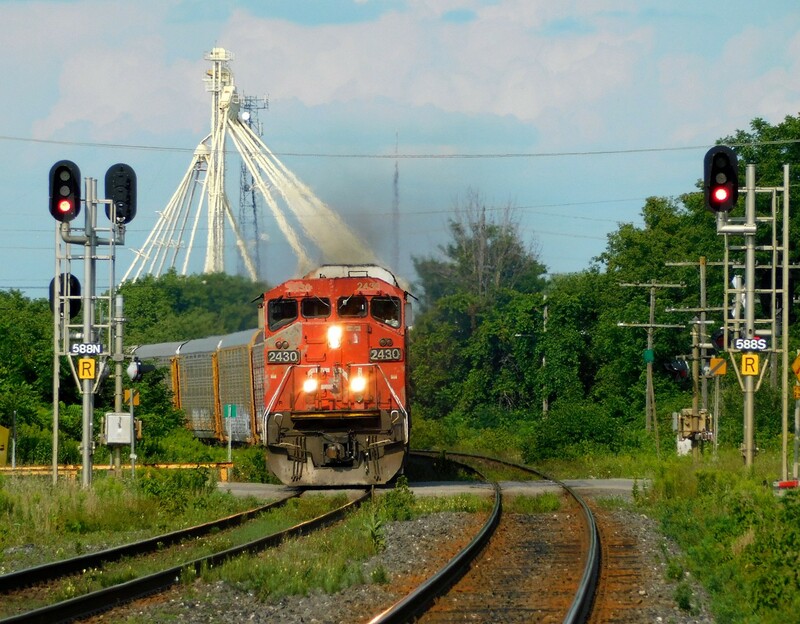 Caption: CN 435 rolls around the curve at Ingersoll on the Dundas Sub with GE C40-8M #2430 leading towards London.